PickTrace Labor Management provides real-time attendance and cost tracking for field and administrative employees. Our suite of powerful tools allow you to manage thousands of employees quickly and effectively. PickTrace Harvest Management provides a bird’s eye view of harvest, giving you real-time decision making power. Eliminate paper, track your costs, and provide your team with the information they need to streamline your processes. 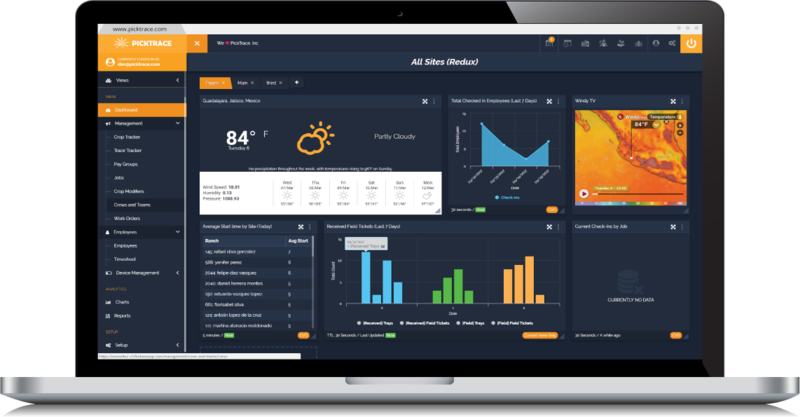 PickTrace Operational Insights delivers a comprehensive platform to view, edit and analyze collected data. Our powerful technology is rooted in mobile, built around customers, and designed to be used by every facet of your organization. PickTrace’s suite of tools captures time entry data in the field, office, and packinghouse, providing real-time visibility across your entire workforce all-year-round. 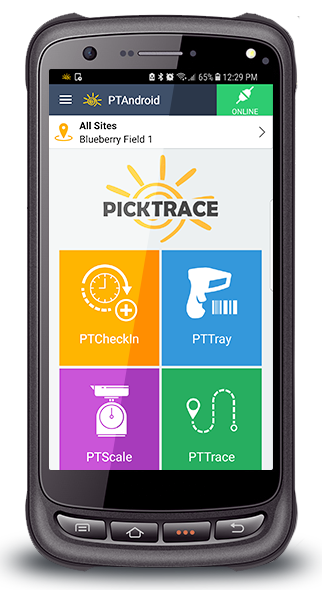 PickTrace has streamlined the process for data collection from the field to the office.